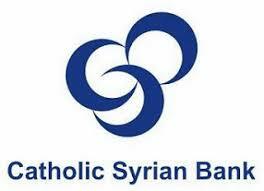 Catholic Syrian Bank has published Advertisement for below mentioned Posts 2017. Other details like age limit, educational qualification, selection process, application fee and how to apply are given below. 10 -15 years of experience in Gold Loan in Bank/ NBFC with leadership experience of 5-10 years. 7-10 years of experience in Gold Loan in Bank/ NBFC with leadership experience of 3-5 years. 7-10 years of experience in CASA in in Bank/ Financial industry with leadership experience of 3-5 years. How to Apply: Interested candidates should mail their details to careers.gold@csb.co.in. For complete details contact on 8086592222.